Have you ever wanted to know where your favorite horror films take place? 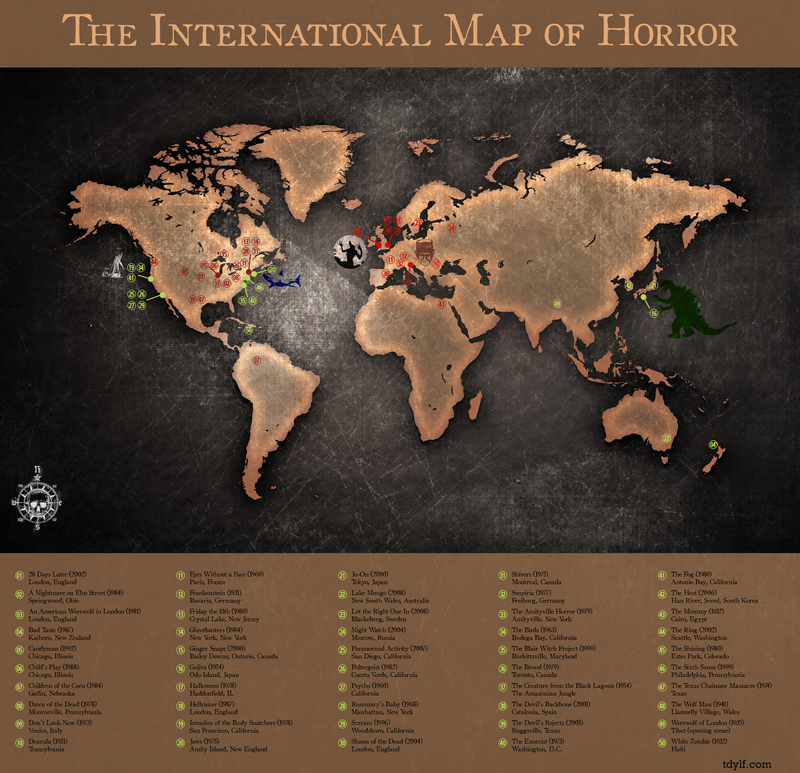 Now, just in time for Halloween, you can find out with this international map of horror film locations. The graphic is very large, so I highly recommend clicking on the image to get the full view. -The background map and grunge texture came from psdgraphics.com, which is a hell of a resource. -I realize that Werewolf of London obviously takes place in London, but the opening scene with the inciting incident takes place in Tibet. So I cheated a little. -I would have loved to include more Japanese horror films (and Asian horror films in general), but it’s not particularly easy to track down specific cities. Actually, I wish I could’ve included more from Russia, Australia, Africa, and South America as well. It’s a Western-heavy map, so take it with a grain of salt. -The Horror Wiki supplied an awful lot of this information. Chuffed to bits you’ve got one from Wales! Oh, there’s no way I’d leave out The Wolf Man. Ok, this is incomplete. I don’t see Human Centipede on here. Seriously, though, this is fantastic. That would’ve been a hilarious map flourish to stick on there, too. No Nosferatu in the Carpathian Forest! Damn! or Night of the Living Dead in PA. Great map John! 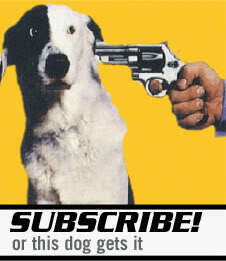 I’m kidding with you! Ha… I would’ve done Night of the Living Dead but figured that one and Dawn of the Dead were pretty much the same (as far as locations go). A gothic treasure map of horror! This is beautiful; I love the colors you chose…I especially like your skull compass, Das Wolf Man and Godzilla graphics. Ha… “Das Wolf Man”. Nice. It was fun to do. I’ve been sitting on the idea for several months now. On behalf of Washingtonians everywhere, I thank you for not including “Twilight”. Oh wow… No way would that movie have been on here. Oh hell yeah… Hell, for New Zealand, I had to choose which one to include- Bad Taste, Dead Alive, or even Meet the Feebles. Awesome map. Fun finding out where all the favorites are. What, nothing in Indonesia or at least South East Asia?? Well, I know my home country created a ton of horror movies, I think that might be one of the most popular genres there. I think I mentioned it before here John but I find Asian horror films to be scarier than anything Hollywood churn out. It’s the same kind of thing as what I mentioned for Japan- it’s really tough to find specific locations. I could get the country of origin… but not a specific town or city. I really wish it had been a little more diverse.